It is with great pleasure that I can inform you of the completed upgrades for our Banner System. This was an extensive upgrade that provided needed functionality for the Financial Aid / Admissions offices, however, we have upgraded every Banner system, e.g. Student, Finance, Human Resources, etc. This will also enable us to stay up to date with Federal Regulations, regarding taxes, etc. Along with this were some changes to some Java processes that come alongside Banner. If your computer has been updated to the latest Java 7, you will notice this immediately as when you log into Banner Forms, you will get three prompts warning you if you would like to run this Java application. One prompt is jacob.jar, one prompt is UNKOWN, and one prompt is Ellucian. You must click "I accept the risk and want to run this application." And then click run. I am working with Ellucian / Oracle to make this process smoother in the future, but due to the nature of the Java Security updates, all schools are currently going through this. If you are on Java 6, you may not get the same exact prompts, however, everything will work the same. If you are having any issues with this, please feel free to contact the Helpdesk and we will get your issues sorted out as soon as we can. I would implore you to download the new Release Guides for your specific system as you can learn about the new functionality that has been provided with these very significant updates. As the Fall 2014 semester comes to a close we at ITS would like to wish the community well for Finals week and the coming Holidays. We will be working diligently over intersession to make sure that all the technology you rely on is working efficiently when you return. During this time we will be taking a short hiatus on blog posts. You can expect more information to come when you return in January. Have you noticed that your Google Apps Slideshow presentations don't fill the screen when using a widescreen display? Click the File menu and select Page setup. Custom — If you select Custom, you can specify the dimensions of your slides, selecting the units (inches, centimenters, points, or pixels) from the drop-down menu. ITS is aware of a system outage affecting all JasperNet web services. We are currently investigating the issue and will have more information soon. Members of ITS will be available in Cafe 1853 from 12:00PM - 1:00PM on October 30th to answer questions that you may have about the following topics. 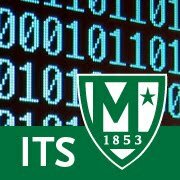 The ITS department continues to improve upon our level of service. We worked hard to increase the amount of Client Services Technician coverage this semester. Also, due to the Telephone Upgrade we were able to implement the ability to call all Client Services locations at once. The pairing of these two initiatives has allowed us to guarantee an improved response time to requests made via x7973. Click here for more information. All modern web browsers, such as Google Chrome and Mozilla Firefox, offer options for backing up your bookmarks and even browsing history. This allows for easy transfer of bookmarks between different computers and restoring bookmarks to your web browser in the event of a software malfunction. Please click here for a step-by-step guide on backing up your bookmarks. Members of ITS will be available in Cafe 1853 from 12:00PM - 1:00PM on October 21st to answer questions that you may have about the following topics. Members of ITS will be available in Cafe 1853 from 12:00PM - 1:00PM on October 15th to answer questions that you may have about the following topics.